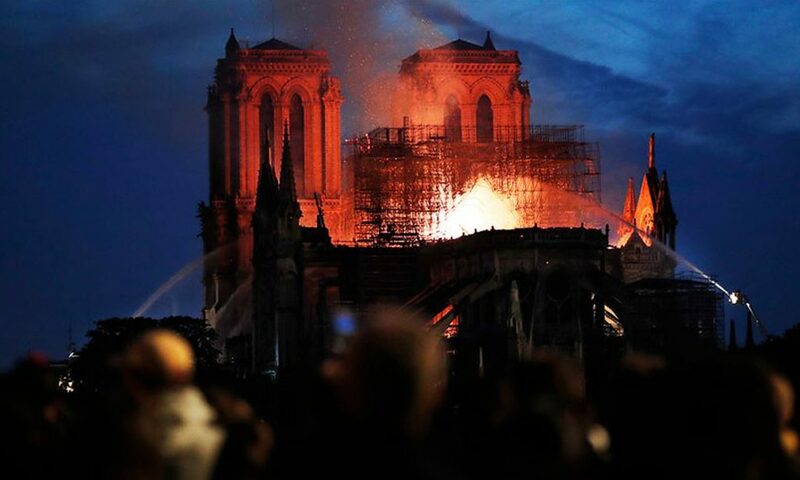 PARIS, April 16 (NNN-DAILYSTAR) – A catastrophic fire engulfed the upper reaches of Paris’ soaring Notre Dame Cathedral as it was undergoing renovations Monday, threatening one of the greatest architectural treasures of the Western world as tourists and Parisians watched aghast from the streets below. 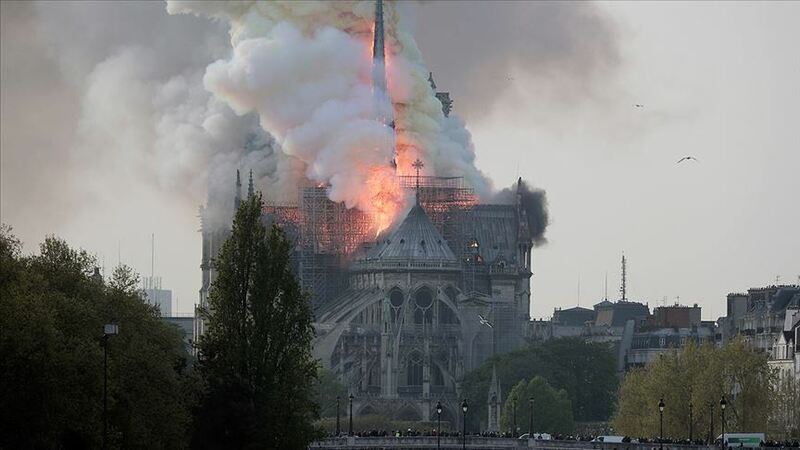 The cause of the blaze was not known, but French media quoted the Paris fire brigade as saying the fire was “potentially linked” to a 6 million euro ($6.8 million) renovation project on the church’s spire and its 250 tons of lead. Prosecutors opened an investigation as Paris police said there were no reported deaths. Built in the 12th and 13th centuries, Notre Dame is the most famous of the Gothic cathedrals of the Middle Ages as well as one of the most beloved structures in the world. Situated on the Ile de la Cite, an island in the Seine river, the cathedral’s architecture is famous for, among other things, its many gargoyles and its iconic flying buttresses. Among the most celebrated artworks inside are its three stained-glass rose windows, placed high up on the west, north and south faces of the cathedral. Its priceless treasures also include a Catholic relic, the crown of thorns, which is only occasionally displayed, including on Fridays during Lent.